Home / Problem Sums Guide / 40 Must-Know Problem Sums (Volume 6) *For P5/6. The one BIG difference about this problem sums guidebook is it covers one of the MOST Challenging topical problem sums that many children and parents often face. Questions involving shapes (such as triangles, slanted triangles, rectangles and squares) and ratio, percentages, and fractions. The P5/6 problem sums are also getting tougher. We have compiled the more advanced problem sums so your child can have them at her fingertips. Over 60 questions in this final volume (Vol. 6) of the 40-sum-series! Here is our “40 Must-Know Problem Sums for PSLE Students Volume 6“. 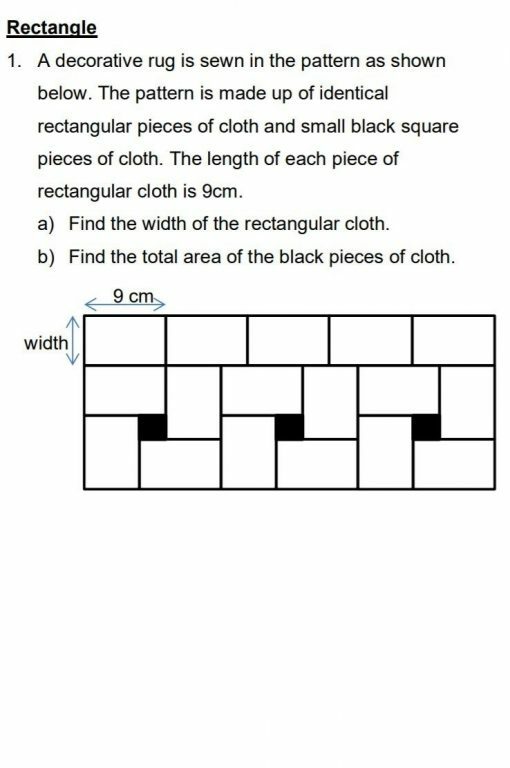 Many P5/6 children and parents have told us that Area and perimeter questions (involving ratio, percentage and fraction with shapes like triangles, rectangles and squares) and the advanced problem sums are getting more challenging. They seemed to be endless! Using the last 4 months, our math team has worked really very hard going through all the top school papers and compiled this set of must-know 40 sums. Yes! These always appear in exam papers! You may see at least one of them in your child’s paper too. This is book your “formula” book to solve these problem sums – fast. This book comes with the step-by-step solving process. No more buying of more books or papers just to do them for the sake of doing. Here are what you will find helpful in this book once you get hold of it. Do you think this compilation is going to make your child’s learning sooo much easier? Wait! There are limited copies. Because of the logistics issue, we can only print 50 copies. If you want to help your child aim for higher grades and make sure your child can understand the common Number Patterns questions better so he can now be more prepared to secure more marks in the next exam, all you need to do is to order this math resource book now. All you need to do now is click on the “Add to Cart” button below to order now.